Just teasing You With This Charming Home! Just teasing you with this charming home which will probably go on the market in the near future. A phone call from my advertisement (even though we all know print media does not work) asking when I could take a look at the property, evaluate what needs to be done and possibly getting it listed. I liked the caller, and I liked the neighborhood....a quaint historic area. We worked it out for that same evening so I could see the house and meet with them. Right away, I found the small but charming brick home absolutely adorable. From the street ... the curb appeal and the blue trim made it feel special . Upon entering, it was obvious that an artist lived here...an artist not afraid of color and personal design. It is a small house that is huge on space for living and loaded with charm...not to mention the new country kitchen designed for the gourmet cook who enjoys entertaining. It is also pet friendly with a large fenced private landscaped yard and some beautiful blue snowballs. Of course, I asked my two questions! Yes, I am just teasing you with this charming home which will probably go on the market in the near future. That's How I Sold A Dirty Messy House! Some years ago, I took a listing that was very much like one described by Alan May minus the baby diapers. In addition to stray animals, they had stray people. It was a referral from a friend and they needed my help! Stuff was piled high and you could not walk through the rooms. Dirty would have been a compliment and these were bright educated people with professional degrees. Now this was a real challenge. How do I sell this dirty messy house? First, I told them to paint the dining room. It was packed floor to ceiling and the table was piled three feet high with stuff. I assumed they would have to empty the room in order to paint it. Wrong! They moved everything one foot from the wall, painted, and moved it all back. We just could not make a dent in the mess. Showing agents were really complaining....even though they knew the condition ahead of time. Remember I make my own appointments and then follow up. At the same time I was working with a young musician and his fiancé. They wanted a large, new home that no one had lived in before. After a lot of searching we found new construction that had three bedrooms, an unfinished lower level. It was in their price range, ready to go but it did not have all they wanted. Still they were ready to put down a deposit. With their wedding less than a month away, I suggested they look at the dirty messy listing. This house was very comfortably in their price range. It was a five-bedroom brick house, with a finished lower level, and much larger square footage. But how would I ever get someone who was set on NEW to even consider this place? Did I have their trust enough to take a look? I warned and forewarned the young couple...to not look at the condition. Picture the house vacant, white walls, new carpet, new appliances etc. The bride-to-be walked in and immediately clasped her hands behind her back – she did not want to touch a thing! I could see she was grossed out and thinking, "How can I live here?" There was only one way to get these young people into the house that was right for them. Make an offer asking the owner to strip the house down to bear walls. Remove carpet, all appliances, ceiling fans, shower doors, blinds, toilet seats, shades, everything! We requested an empty walk through with proof of extermination after everything, especially the carpet, was removed. The buyer did not believe they could make these kinds of demands. It would be insulting. Guess what... the sellers thought it was fabulous because the family could use all of their stuff in a new place! This was the most creative contract I have written. After the house was painted, new flooring, new kitchen, new baths, new window treatments etc., this young couple had a much better than new, brick five-bedroom home for less money than the much smaller brand new home. That's how I sold a messy dirty house! Giving and Taking Advice on ActiveRain...the HomeRome Way! Giving and Taking Advice on ActiveRain....the HomeRome Way! You can get blog ideas by reading posts, making comments and following the comments. Here is an example. Less than ten days ago Kathleen Moriarty wrote asking for help. Please take a moment to read ..Insight needed from AR members regarding moving my business. After reading about her upcoming marriage, her move and a company change...I left Kathleen a message along with this advice. I love it when we are able to encourage others! Please take another moment to read Kathleen's post written today.. Approximately one month and counting to my name change! You can get blog ideas by reading posts, making comments and following the comments. It is...Like Having Your Own Electronic Agent! You can find all the active listings in Maryland plus the five surrounding states. How About a Baltimore Condo? Here Are Six to Choose From! How about a Baltimore condo? You do know that Condos are NOT only for the old folks! Here are six condos to choose from in the Baltimore area. Ranging from a one bedroom one bath...to a three bedroom 2.5 bath. They each have their own special features ...like balconies, eat in kitchens, garage parking, patios, swimming pool, concierge service, tennis courts, all have laundry in the unit. Enjoy this 5th floor (elevator building) spacious one bedroom one bath Bartonwood condo with a separate utility room that houses a full size washer and dryer. Sliding glass doors to 16 foot covered balcony is the perfect place to enjoy morning coffee and gentle breezes overlooking tree top views. Not too big and not too small, this wonderfully spacious two bedroom condominium with onefull bath plus a powder room is a perfect size. Currently used as a one bedroom and den. Large open angled floor plan is defined only by your furniture placement. Very bright with over-sized windows and double sliding glass doors to the private brick enclosed patio. The Towers also has a community center, tennis courts and a swimming pool. 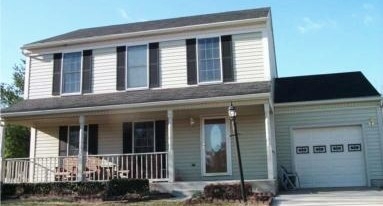 17 Bellows Ct. 21204 Towson, Maryland Townhouse Condo in Gated Community. This interior brick and siding townhome has 3 bedrooms, 2 full and 2 half baths, a finished lower level with new sliding glass door to a very private enlarged concrete patio. Brand new gourmet kitchen with ceramic floors, white cabinets, granite counters, new stainless steel 'Whirlpool Gold' appliances including a 5 burner gas stove, built in microwave, oversized stainless sink, disposal, dishwasher, and refrigerator. The first floor has gleaming hardwood floors. The bathrooms are all updated with four TOTO toilets. With new replacement windows, new carpet upstairs and neutral paint, this townhouse condominium is ready to move right in! 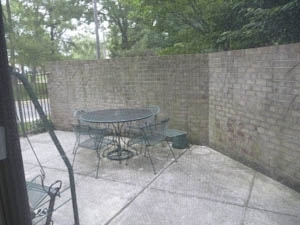 This Towson gated community, with pool and tennis, is close enough to walk to Towson Town Center with plenty of restaurants and great shopping. The swimming pool, tennis courts and plush acreage are all part of this lifestyle A guest room for overnight visitors keeps your company close but yet separate. Enter into your large foyer and see the expanse of gleaming wood floors. The spacious living area with wood burning fireplace, bright window views has a custom corian buffet server. Enjoy the quiet retreat of your private covered patio with access to the beautiful grounds. This is a very easy place to entertain in style while enjoying the changing seasons of Baltimore. Spectacular views of the pond and lush private landscaping from all 3 bedrooms, living room and dining room. 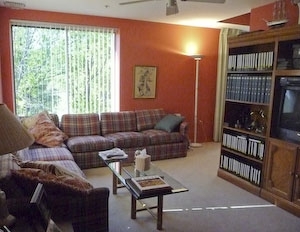 The spacious first floor condo has the space of three full bedrooms. The room adjacent to the eat in kitchen is being used as a family room with a wall of built ins for all your storage needs. And not just any condo, but an all brick, full service building with elevator, doorman, and - best of all - garage parking. At One Gristmill Court, you have found one of the largest , a 2100 square foot apartment. 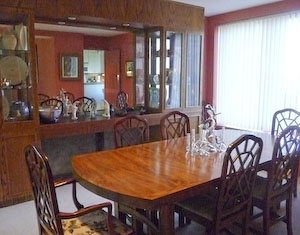 This 5th floor corner condo boasts 3 Bedrooms, 2 full baths, a lovely powder room. Also there is plenty of custom closets, whirlpool luxury bath, quiet views of the swimming pool and a gourmet kitchen with lots of granite counters, back splashes and a delightful breakfast area. You will enjoy the seasons from the large covered balcony with sliding glass doors from the dining area and also the third bedroom which is now used as a den. The spacious foyer is covered with marble and leads to lots of closet space plus a bonus room now housing a workshop. Saying Farewell to a Best Friend! Anyone who knows me has read about my friend, mentor, publisher and confidant...Peg Silloway. We have known each other for well over 20 years. We met at NAWBO -National Association of Women's Business Owners- back when I was a porcelain artist and she was a CPA. We liked each other from the beginning. Over time we changed places...career wise. Peg went back into the arts, doing stained glass and then writing and you all know I went into real estate...HomeRome Realty. I don't think we have missed getting together, one day each month, in the past twenty years. It was always a special day. We did trips to DC, to Philadelphia for art shows and museums. We did the ACC-American Crafts Council show every year in Baltimore. There are blogs from each of these yearly craft shows over the past five years. We did radio shows together and we have done book signings together. We have been intertwined in each others lives. I sold her first house and found her next home. It is a wonderful friendship. We did numerous, and I do mean numerous restaurants, in the Baltimore and Columbia areas. And during this time Peg started Silloway Press and published her first book.. Real Estate the Rome Way which many of you own and have read. Her own, very popular publication, was named gift book of the year The Cat Lover's Book of Days. Many of you have followed Peg's blog and have met her at the various ActiveRain gatherings. Today I went to a party to celebrate Peg and Phil's new adventure. They are leaving Maryland and heading to Oregon. Farewell my friends. Travel safe and enjoy your new adventure! ''We are going far away, to the land of Douglas fir, Nike, Intel, salmon and artisanal beer.We have very much enjoyed the past 45 or so years in Maryland, especially the many friends we have made. Still, it is time for new adventures and new friends. So this will be au revoir to old friends (we will probably visit in a couple years)." In case you haven't been following me...here are just a few posts about my friend Peg Silloway...I know there are more and many more to come. The Closer It Gets, the Harder It Is to Wait! Baltimore Book Festival – See You There! Black, White, Yellow, Red and One for Peg! ACC Baltimore Craft Show! 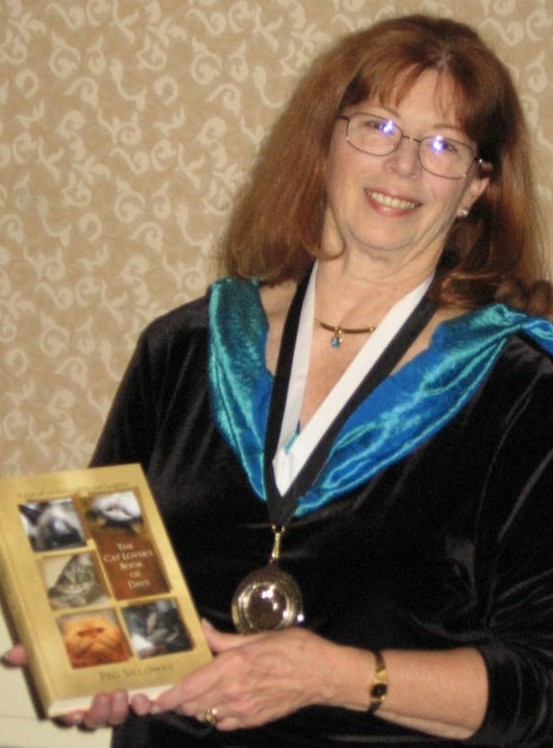 The Muse Medallion goes to Peg Silloway, My Publisher, My Friend! "Successful Solo-But Not Alone with Today's Technology"
In Baltimore Ice cream and Snowballs are a couple of ways to keep cool in our warm humid weather. We've found another...an indoor lemonade stand. When Life gives you Lemons ...Squeeze 'em. That's what Phillippe, Morgan and Claudia do. These entrepreneur kids have set up a stand in their family's owned business. They came up with the slogan. Do you recognize that puffer above in the Fish Tank ? Here is Claudia and Phillippe at One World Lemonade. When you enter Poulet, these youngsters offer you a free sample of their homemade refreshing drinks. They start with a big jar of fresh lemons, an electric squeezer, sweetened water and add flavor such as strawberry or mix the lemonade with tea...half and half (also known as an Arnold Palmer). Within steps you can have a full meal at Poulet, hand dipped ice cream, a delicious lemonade drink or walk across the street for a snowball. There are different types of Snowballs ...especially in the Baltimore area. There are the winter ones like these that most people would like to forget. There are the summer ones that are native to Baltimore. In fact many have never seen or heard of them. This is what a Baltimore snowball looks like. You can add marshmallow cream or soft serve ice cream in layers in this cup. I like them plain. Do you have snowballs in your area? It's Ninety Degrees ...But There Are Snowballs in Baltimore. It's ninety degrees...but there are snowballs in Baltimore..not this kind of snowball from last winter. These snowballs grow on trees and bushes and produce some beautiful flowers with colors ranging from white, to pink, to blue, to purple. I have heard of red but have not seen them. These bluish, purple or pink flowers add a color you don't normally see in the flower garden. Another name for hydrangeas are snowballs, and we have some beauties in the Baltimore area. 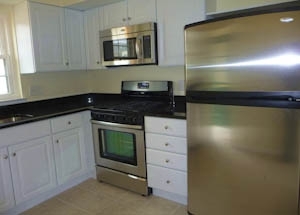 I snapped these photos at my Gardenview property that is now under contract. I picked up the phone and called. In no time we were caught up. I was pretty new back then but I remembered Angie and I remembered the house. I remember the homes sold for her brother in law, her mother in law and a few other referrals. What I also remember...Angie was an immaculate house keeper. Her home was a pleasure to show. Always perfect! Of course with small children, I gave her as much notice a possible. I also remember the day her home sold. It was Angie's moving day when a buyer called wanting to see the house. Her response... "Oh No...the place is a wreck." My comment back then. "They may not buy it if it is a mess...they definitely will not buy it if they can't see it." I went over to show it..stuff all over the place and....you guessed it...the right buyer! The house was SOLD that day! If you could help... this gal find a rental, I would be so appreciative. I don't have my Maryland license...just got WV 3 months ago. You were the one who got me interested in real estate 19 years ago. You suggested I read a book that was written, by a gal named Danielle. She had like 5 children and still had a successful family life and work life. We ended up with 5 children also and I put real estate on the back burner until now. I really wanted to do it before I got too old..LOL! My oldest is 22 and youngest is 7. This is a friend of a client that I got her house listed as a rental and in a few years she will sell and hopefully I will get the listing. This gal ...is in the Navy and will be interning at Johns Hopkins for 2 years....has 2 mild mannered dogs..... I really appreciate your help if you could find her something. She is not having any luck with a reliable Realtor® in Baltimore...... Thanks Bunches, Would love to talk to you about Real Estate and I see you wrote a book..would love to read it. Take care, Angie "
After all this time, Angie googled me and asked for my help. I was thrilled..even though I don't do rentals...I can certainly help point them in the right direction. After speaking with her client's friend, I gave some suggestions and was going to do a post tonight on what she needed. It was going to be tittled something like... ''Find A Home For These 2 Dogs'' I was just waiting for the photos of her pups. But, and as of today, this young intern has rented a home for two years. ''YEAH'' is what her email said and a sweet thanks for helping. I will be wishing Angie lots of success in Real Estate, sending Real Estate the Rome Way and inviting her to ActiveRain. Do you think she will join? Do you think I can get a young agent of 3 months to start blogging? Would you remember a home sold 19 years ago? Erica Brought Roses for Daddy ...and He Loved Them! Usually TLH, The Lovely Husband brings home the flowers, but not this time. It was Father's day and our daughter, Erica, knowing how much her dad likes roses... brought over two dozen long stemmed roses. I arranged them both in short vases. Lee loved them! The red ones are on the coffee table right in front of his favorite TV watching spot. The red roses look pretty all alone. The white roses look great with my porcelain bowl made many years ago. Erica brought Roses for Daddy for Father's Day..and he loved them! This is not my first post about flowers..take a look at...I never get tired of writing about flowers. No One Will Disagree With Me On This Subject! There is Another Reason Your House Has Not Sold! The Right Buyer has not seen it! When asked why the house has not sold or why it's been on the market so long...most people will say "It has to be the price". Everything will sell at the right price. List em right and they will sell. Many times this is true, especially if you have, cookie cutter homes, in the same neighborhood with comps to support the pricing. But not always! Their are some unique homes that are not Clone-onials .... that have not sold because THE RIGHT BUYER has not seen it. I have listed homes that failed to sell and it was not about the price. Let me give you some examples. Had a house on the railroad tracks. The other agent said price had to come way down to compensate. In my opinion, the value was there but it needed to be marketed to "train lovers". "Set your clocks by the train schedule." I sold that one to a retired conductor who had always wanted to be near a railway. He was so happy...never thought he could have an actual train going by his home. That was the right buyer. Why? ...because it had been on the market forever! It needed a fresh start. I sold it to a musician who raised German Shepherds...large dogs with very healthy barks. They needed space where sounds would bother no one. He also did a lot of traveling and wanted easy access to get to the airport. That was the right buyer. Then there was my historic church...again I was not the first agent. It was 100 years old, it did not have luxury modern baths, it did not have central air and there was a cemetery attached. You could sit on the deck and enjoy the peace and quiet. Not everyone wants to live next to a cemetery. It took a lot of creative marketing and the right buyer to see the house. Even more recent was the Westminster Contemporary, a former ostrich farm, on 28 acres. 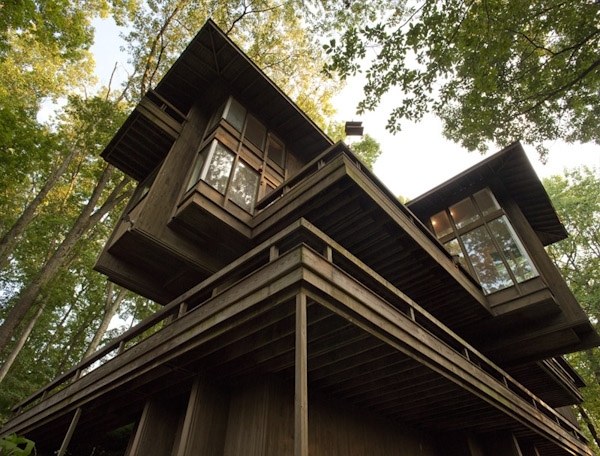 We had numerous showings and some of the comments....''it was too far out'', '' it was too contemporary'', '' it had too much land'', ''it was too wooded'', ''it had a private road'' and '' it needed repairs". It took a year but we found the right buyers! They loved the contemporary, they loved the location, they loved the house, they loved the woods, they loved the private road, they loved the land and they could afford to make the necessary changes! They were the right buyers! 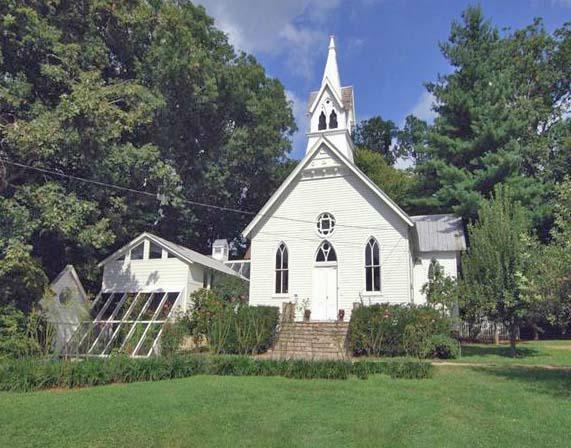 Here are two very special homes that have not been seen by the right buyers. 2301 Velvet Ridge Dr. Owings Mills, MD. Contemporary Rancher With Indoor Pool! Have you ever been to a client's home who was overwhelmed with the paperwork, with the bills, with their taxes? They are embarrassed to tell anyone because.. who would understand?..who could help? It can be stressful to someone who has always been meticulous with their filing and banking with no help from anyone. This disarray of filing might be due to an illness, dementia, getting older, loss of interest or the passing of a spouse who took care of these necessities. How can you help? How can someone who does not know you come in and figure out the hoards of paperwork? This is how I delt with CHECKS and BALANCES a few years ago. I have found that person. 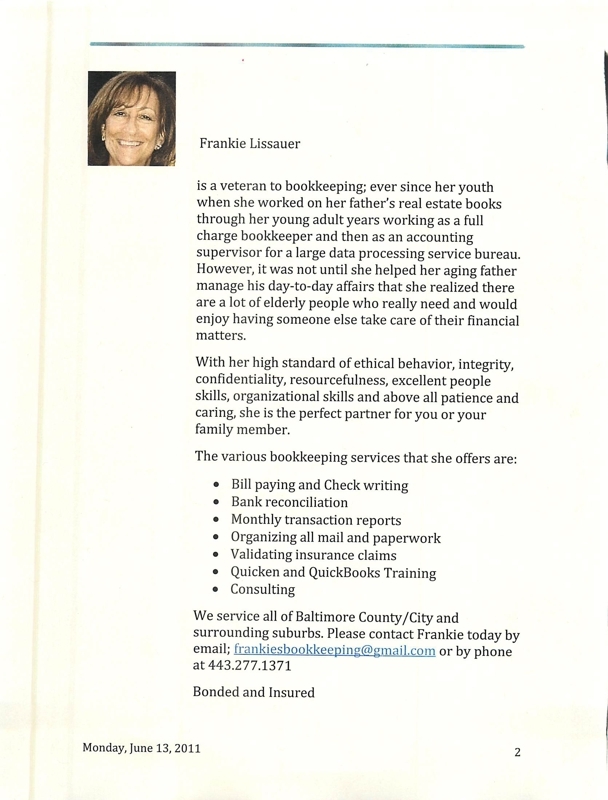 Her name is Frankie Lissauer a very special bookkeeper and true professional. She is a great asset to my team. The stress of my clients has dropped to nil as compared to before. Within minutes of entering the home... Frankie is working to make order of the paper mountain. And she makes it look so easy and immediately brings a sense of calm to the homeowner. What a gift! I would recommend Frankie to anyone who might need help with paperwork,medical expenses paying bills, tracking of all income/expenses or general bookkeeping. In fact Frankie would be perfect for almost anyone including real estate agents who become inundated with paperwork. Below is more information on this delightful colleague.. I may just invite Frankie to ActiveRain..bet she has lots of tricks to help us organize our older clients. How I Handled One, Kindness Impaired, Pushy Caller. I was in an all day session at our board yesterday. Time was limited...calls and messages were only taken at breaks. One call came in that was very convincing. To make the best use of this time..I took a break while on this call. And then I held my phone near and FLUSHED!! That is how I handled one, kindness impaired, pushy caller. What Ten Dollars Will Get You ... An Entire Day of Learning at GBBR! Colette Massengale, Maryland Association Realtors ® Legal Counsel, Carolyn Cook, Deputy Executive Vice President at Greater Baltimore Board of REALTORS, Cathy Werner president of the Maryland Association of Realtors, and Kathy Connelly from the Maryland Real Estate Commission... started the day by sharing ways we can keep from getting to know them better...at least in their official capacities. What Ten Dollars Will Get You... An Entire Day of Learning at GBBR! The GBBR's Business Building Workshop began with networking and breakfast at 9:00AM, a line up of nine speakers that went until 3:00 PM. There was a delicious lunch break catered by Qdoba of Towson. We had nine expert panelists, breakfast, lunch and we were able to connect with friends and colleagues. This entire day information packed day cost ten bucks! What a deal! Thanks to Kim Jones for, once again, organizing this information packed day. Kim is above with Bob Kimbell president of Greater Baltimore Board of Realtors® and Mary Hartman. Bob spoke about business building. Status Quo is NOT a Strategy! What prospecting is NOT and Ten biggest planning mistakes. He is entertaining and an inspiring presenter! Kim Jones presented over 60 Tech-Tips covering Smart Phone Apps, Web-Sites and Products to make your life easier and business more efficient. One of my favorite rookie agents and ActiveRain member..Rosa Almond , brought some color and smiles to this knowledgeable panel of speakers... Alphonso Freeman, Jose Rivas and Russell G. Hughes. For ten dollars, you could have had...An Entire Day of Learning at GBBR! Recently wrote about Signs of Summer in Baltimore. These photos were taken on that same evening. No we did not go downtown to our wonderful National Aquarium. These aquatic beauties were in the fish tank at Poulet in Green Spring Station near Tarks, also in the same shopping area. I probably was a bit rude to our dear friends...I could not help but snap away at these fascinating sea creatures while everyone was enjoying the delicious hand dipped ice cream. Watching fish can lower blood pressure and be a calming experience..like these fish at 14 Timber Way. Don't miss a chance to enjoy a calming experience...watching a fish tank. Buyers Need a Home! Are You Selling? This young family needs a home! Their home went under contract and will be closing next month. 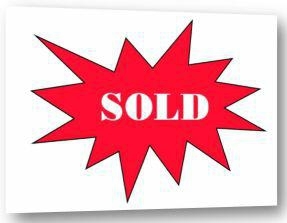 With all the media talk about it being a buyer's market and how hard it is to sell a home....they listed their home with me and voila it sold! Now we are trying to move them into the Summit Chase neighborhood. No problem...it's a buyer's market. Well not so fast. There are no homes on the market that meet their needs. They really want an end of group with a garage. We have been out looking at lots of other areas and lots of other houses. They are being flexible. But they know what they want. So this is what we did. I made the flyer below...put it on blue paper and went to each end unit, with a garage. in the entire Summit Chase neighborhood. Within minutes, I had a phone call. It happened to be the mom of one of our friends. She loved the idea of the flyer and had to call. Is she ready to sell? Not at this time. But she will talk to others in the area. 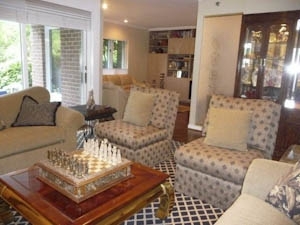 But our first choice is still the home described below! 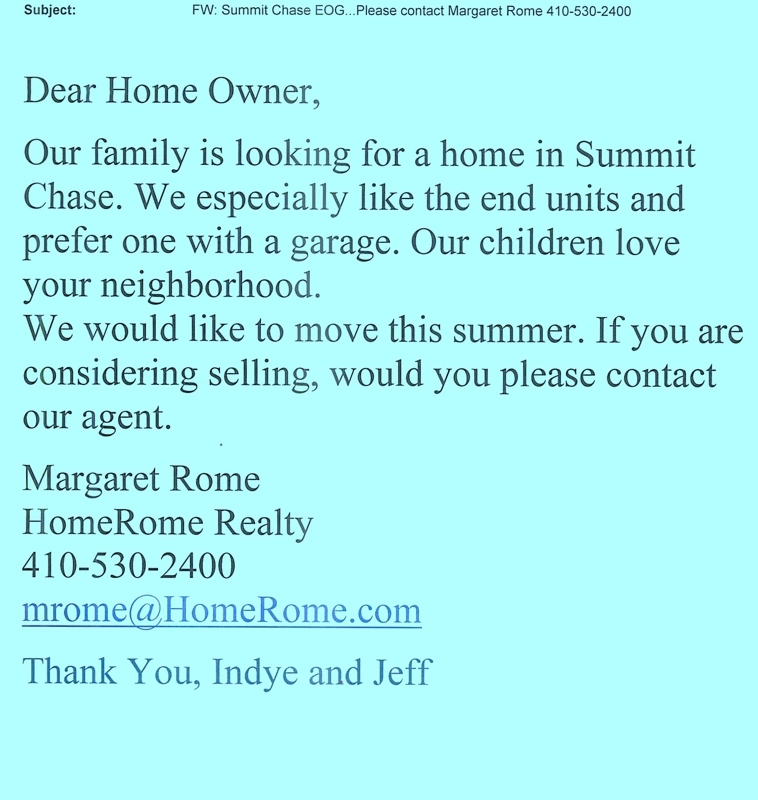 If you are thinking about selling your Summit Chase townhouse with a garage, would you please call me 410-530-2400. This fourth floor condo at The Clubhouse, with two master bedrooms and two master baths has been sold. This all brick condo has been beautifully maintained with the convenience of a full service building. This fourth floor unit is accessed by elevator and you have a doorman to greet and help with your needs. 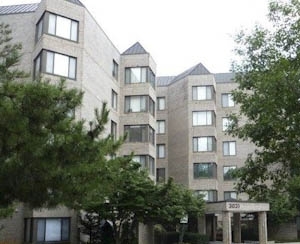 This spacious Baltimore Condo at 6711 Park Heights Ave, boasts 2 master bedrooms, two full baths, laundry in the unit, eat in kitchen, huge walk in closet and a covered balcony off the spacious living area. In addition... there is a party room, library area and elegant lobby. Senior Friendly's Reserve-a-ride is available several times a week along with social planned activities and assigned parking. We definitely found the perfect buyer and this luxury condo went to settlement today!! Elegant lobby makes you feel welcome. This is Joe who is always available with a smile and helping hand. Library area Party room set for a meeting.